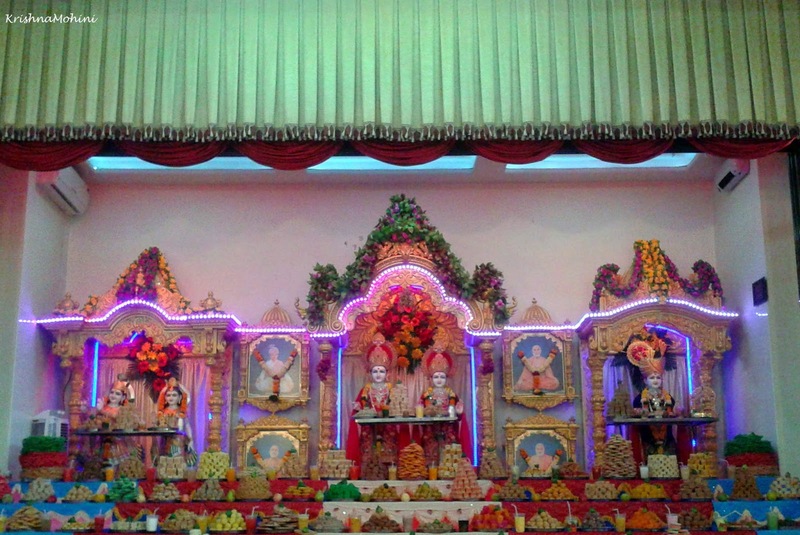 The unforgettable divine moments of Annakut festival this year in BAPS Swaminarayan Temple. The next day to Deepawali - Balipratipada is celebrated as Annakut festival. For the past few years, I couldn’t visit Annakut festival celebrated at various temples. This year I was fortunate to spend some divine time in the BAPS Swaminarayan Temple on Annakut festival day, Balipratipada. I visited the temple in the afternoon, the time when the temple would be less crowded. The Sun was as usual scorching (for me). I was quite restless, perhaps due to the afternoon heat. I reached to the small temple of Neelkanthvarni Bhagwan, spent a few moments there. But, I was actually very eager to meet Lord Swaminarayana, in the main temple. When I reached the main temple of Bhagwan Swaminarayan, I felt calm instantly. Perhaps the feeling of missing the God was making me restless and not the afternoon heat. I have a special emotional attachment to the BAPS Swaminarayan temple. I used to go there in the times of distress and used to feel the peace of mind, I used to pray silently unknowingly to Bhagwanji when I had been facing the dead end in life. I didn’t know anything about Bhagwan Swaminarayan that time, for me He is the supreme almighty and that was enough knowledge for me. I used to attend the evening Arti every day. But, then I couldn’t manage to visit regularly. 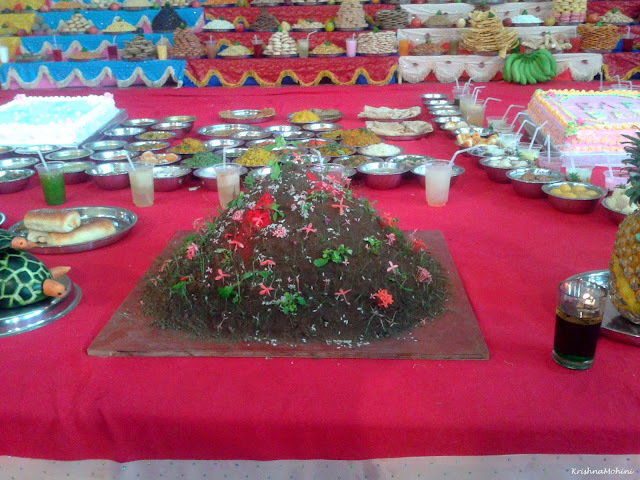 Main rituals and Annakut festival activities had already finished. 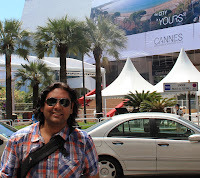 I looked at Bhagwanji and my mind shared without any deliberate prayer, ‘Sorry! 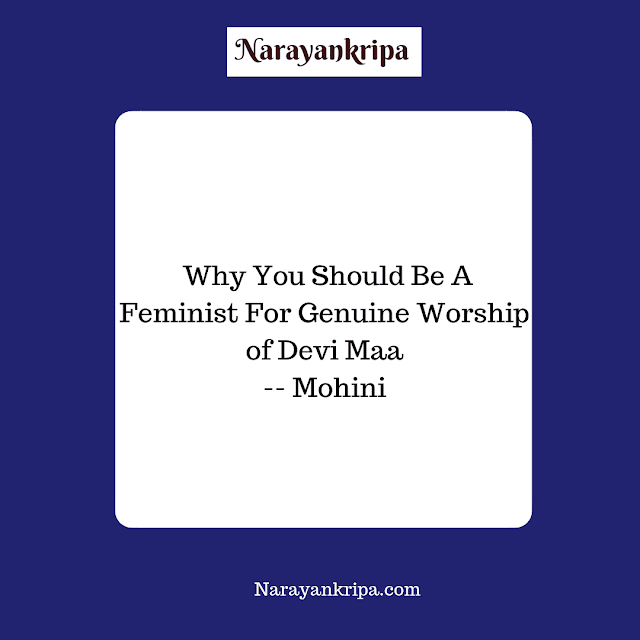 I couldn’t manage to visit the temple regularly; couldn’t contribute in festival activities.’ I was feeling a bit guilty, though it was absolutely needless, as worship is never confined in some particular rituals. If I miss one form of worship like praying in a temple for the other form like focusing on my duties, it’s fine. But, our past experiences and strained relationships force us to feel guilty for no reason, and sometimes those feelings become a part of life. 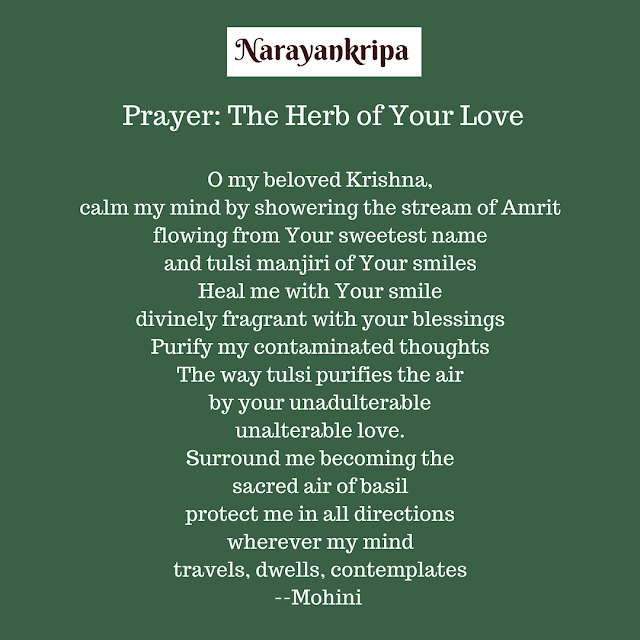 Bhakti and Spiritual Enlightenment is a Healing Power. Bhagwan was smiling as usual. But, His eyes were firm, I felt, He is reassuring me, ‘I understand you. You never need to give any explanation to me.’ And, I felt so liberated. You may feel, am I crazy. But as I always say, devotion is the supreme form of love. If you have loved someone in your life in any relationship, you can understand my feelings about the God. In recent years, in Dhule life, my friends and support are temples and the God. Spirituality helps in maintaining emotional well-being in the time of sufferings. It’s far better than any kind of addiction, may it be drug abuse or alcohol addiction where human mind may get attracted during the tough period of life. For me, Bhakti has always been a great power in good or bad times of life. Philosophical enlightenment is lasting as compared to the outward material solutions. Spirituality gives the strength to turn the adversities into power and wisdom. I felt serene with the Darshana and the smile of Bhagwan was so mesmerizing and soothing. Whenever I visit to the Swaminarayan temple or the Vithoba temple, I feel, may my mind and my ego melt in Bhagwanji’s Murti forever and let there be an end to all the sufferings. But, spirituality is in staying in the moment, it’s not escaping from the reality. Wounds, pains, or pleasures, experiencing them all without getting attached to them is spirituality. It requires great courage to stay in the moments of distress, to endure the pain alone and slowly allow it to go from the heart. Bhakti and Bhagwan bless the strength. I think that’s the biggest miracle Bhagwan creates, it’s nothing supernatural, but it’s the courage to fight alone to turn the adversities, patiently and consistently for a long period, maintain the courage and calm even when you don't see any end to the miseries. A healthy relationship is where there is a bond of trust and you don’t feel the need to give explanations. 'I understand you', a simple assuring sentence makes any relationship stronger. When an endless cycle of explanations begins and someone close to you is not ready to trust your limitations, not ready to trust your feelings and explanations, things start becoming complicated that lead to ruining of all the beauty and strength of the relationship. Meeting the smiling and blessing Bhagwanji I felt the bliss of reunion. 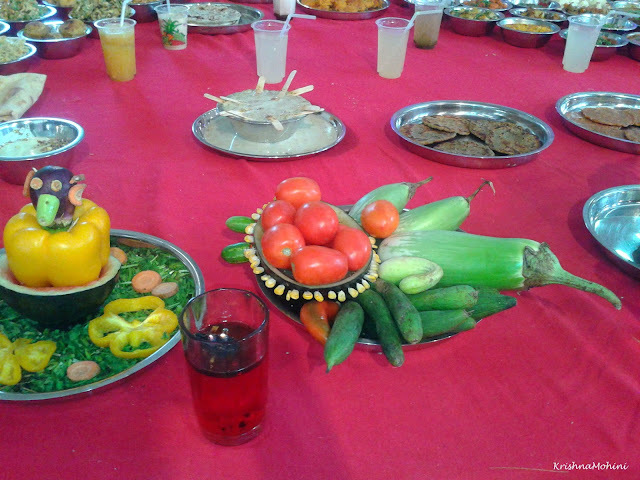 Then, I captured some photos of various dishes arranged artistically. I remembered, I had also offered Chivda as a part of Annakut one year. Every devotee can offer any simple, traditional, rare or modern food as per their wish to Bhagwan, for Annakut, without any discrimination based on their caste. 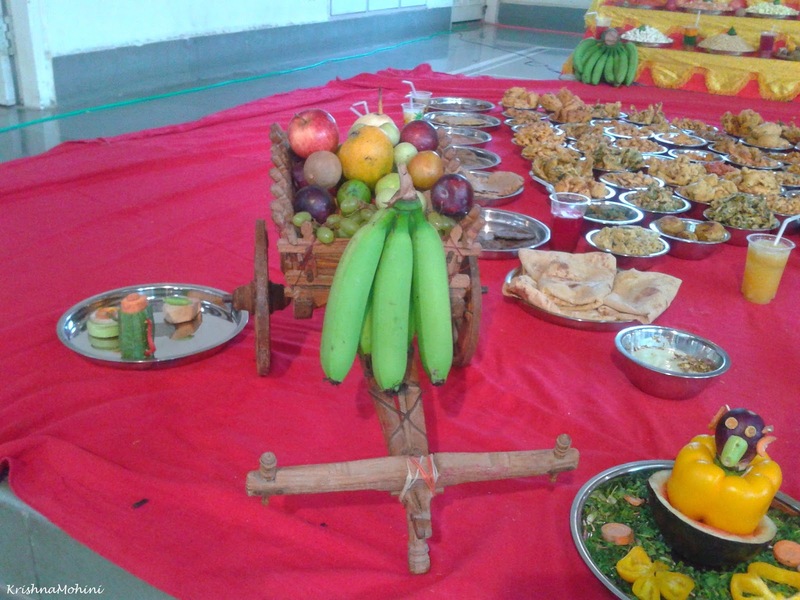 From salads to cakes, from Puranpoli to Bhakri, Sharbats, snacks, fruit, there is no limit to creativity and devotion, devotees offer. Generally, more than 1000 dishes are prepared. Needless to say, all the food is vegetarian. A woman devotee suggested me to have the Prasad. Before leaving the temple, unknowingly I thanked Bhagwan for understanding me and accepting my naive feelings of devotion. 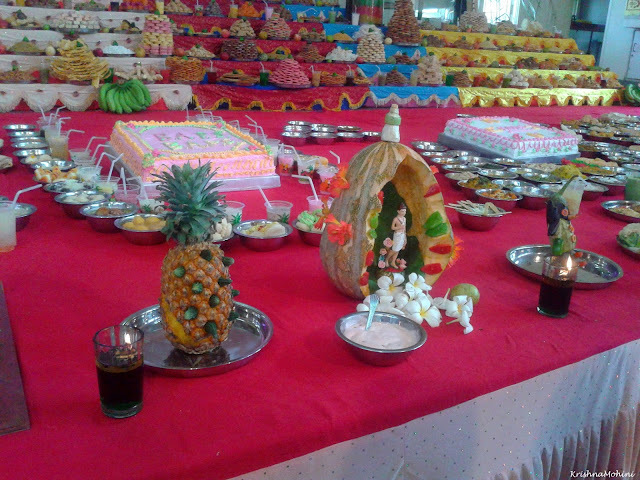 I went to the other side of the temple for Prasad. BAPS is now constructing another bigger temple known as ShikharBaddha temple. I visited the construction site. Yuvati Mandal – a girls’ devotee group, explained me the architectural details and future plans. It was so interesting to see the temple before its complete construction from inside. For the devotees, Prasad is the blessings of Bhagwan in the form of food. Prasad isn’t merely a meal to feed the hunger, but it feeds the soul. Simple rice tastes exceptionally special on Annakut day. The Prasad tent was left with only a few devotees and some volunteers serving it. Rice, Ladoo, Sabji and Pakode was the menu. 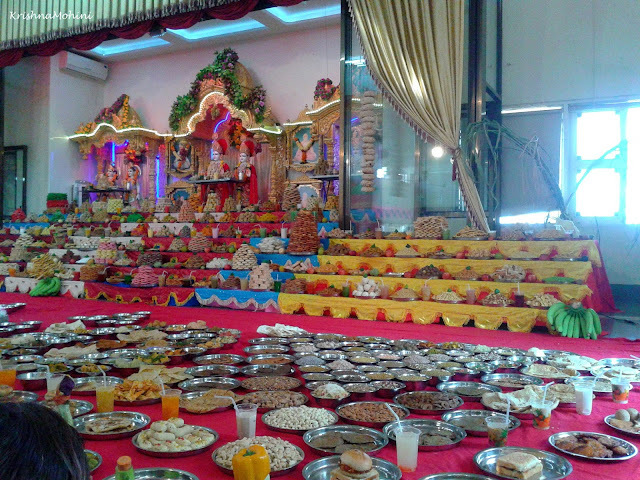 I was quite emotional for being so blessed this year to have the blessed meal Prasad after some years. My hands were shaking. It’s really difficult to express the joy of being with a true friend, Bhagwan. When I was trying to finish my Prasad and controlling the emotions of gratitude for the blessings of Bhagwan at the same time, a kind voice came to me, “Would you like more Ladoo or Rice?”, An old devotee asked me politely. I smiled and thanked him. I finished my Prasad. My mind was still thinking about the soothing reassurance from Bhagwan. Treasuring the unforgettably calm, kind, and devotional moments in my heart, recharged with hope, I switched my mind back to routine. Now, whenever I feel overwhelmed by the circumstances, I just close my eyes for some moments and let my mind stay in the smiling Murti of Bhagwan. Temples and Bhakti are healers for all. Temples unite. Temples strengthen the faith in humanity. Temples, the places of worship and prayers, give the hope to 'All'.